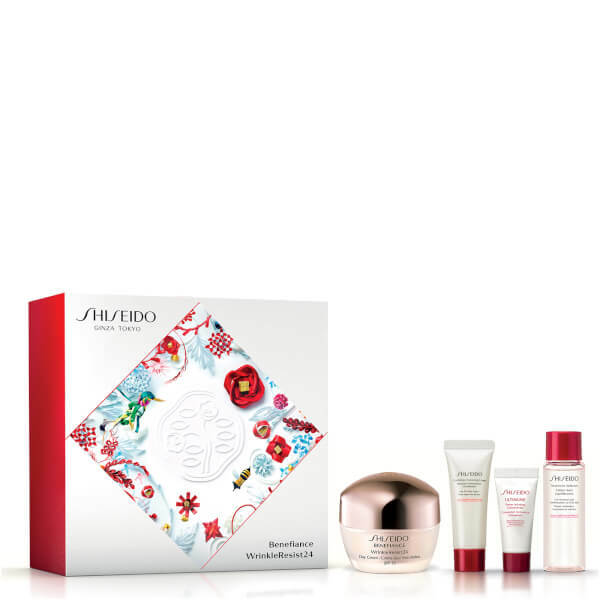 Restore youthful vitality with Shiseido Benefiance WrinkleResist24 Day Cream Set; a four-piece collection dedicated to cleansing, hydrating and addressing signs of ageing. A day cream that will moisturise and condition your skin, whilst minimising the appearance of fine lines and wrinkles, whilst providing long-lasting protection against damaging environmental aggressors. A gentle formula that thoroughly cleanses skin to eliminate dirt and impurities, without over-drying or uncomfortable tightness. Creates a creamy lather and rinses off easily for a clearer, purified complexion. A luxurious formula that provides intensive hydration to keep your skin feeling smooth and soft, whilst protecting your skin against the sun's harmful UVA and UVB rays. 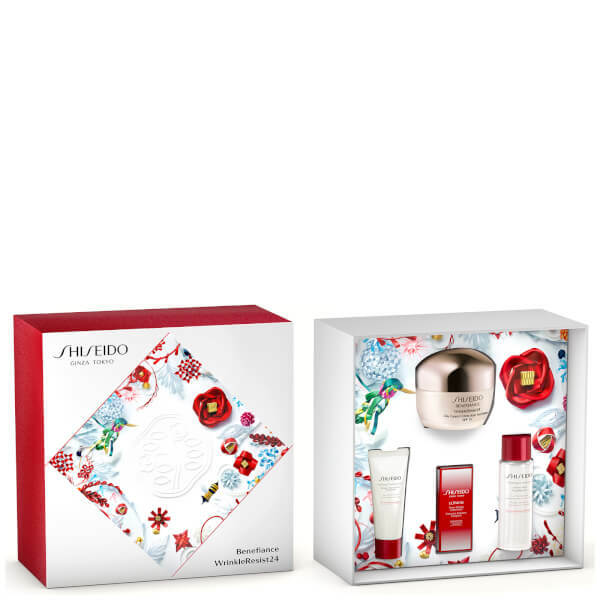 Formulated with a botanical blend of Gingko, Japanese Shiso and aromatic Thyme, the satin-textured treatment absorbs quickly to soften the appearance of fine lines and wrinkles, whilst delivering firming and regenerating benefits.